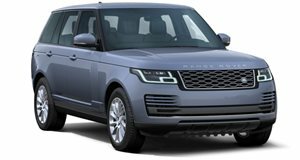 Not long ago, Jaguar Land Rover announced that in light of serious financial troubles it had decided to kill the Range Rover SV Coupe before production even got underway. Obviously, that decision disappointed the few wealthy buyers willing to shell out over $250,000 for the limited edition SV Coupe, but JLR has bigger problems to fix at the moment. This decision also created an opportunity that London-based coachbuilder Niels van Roij Design couldn’t pass up. First reported by Top Gear, the company, who was responsible for the insanely cool Tesla Model S shooting brake, has revealed the first sketch and details of its Adventum Coupe. Based on the current generation Range Rover, the Adventum Coupe not only pays homage to the first-generation Range Rover from 1970, but also serves as a replacement for the dead before arrival SV Coupe. Niels van Roij says it has 100 Range Rovers it plans to convert, so spots are limited once again. But don’t just assume the coachbuilder is planning on simply slicing the rear doors off and smoldering the SUV back together. No, the company will accommodate just about any customized interior request. Customers will be able to select from a huge range of interior materials and colors, so chances are there’s already something for everybody. Most importantly, the company insists that no two Adventum Coupes will be alike. However, the Adventum Coupe will not only be expensive, it’ll actually cost more than the Range Rover SV Coupe. Prices are said to begin at between £275,000 and £375,000, or $361,000 to $493,000 at current exchange rates. Production for each SUV will take six months to complete and customers must put down a £50,000 deposit.